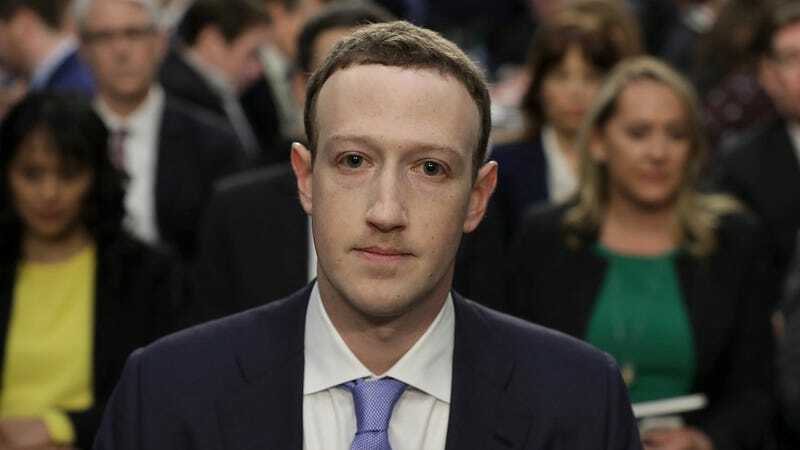 Mark Zuckerberg is on the hot seat today. The billionaire CEO of Facebook will testify on Capitol Hill about the privacy scandals that have rocked his company, including the theft of data from over 87 million Facebook users by the political research firm Cambridge Analytica. Today’s hearing is titled “Facebook, Social Media Privacy, and the Use and Abuse of Data,” and is scheduled to start at 2:15pm Eastern, 11:15am Pacific time. The US Senate committee hearing is scheduled to last two hours. We already know some of what Mark is going to say based on the written testimony he’s submitted, but it should be interesting to see what types of questions are asked. We can probably expect a lot of questions about Cambridge Analytica, Russian meddling in the 2016 election, and maybe even a few about Zuck’s secret unsend button. Hopefully we’ll also get some answers about why Facebook didn’t roll out that new privacy page yesterday like it promised. Multiple emails from Gizmodo to Facebook have not been answered. Don’t forget to grab your Bingo cards before the testimony starts. ABC News has a livestream on YouTube. PBS Newhour has a livestream on YouTube. NBC News has a livestream on YouTube. And oddly enough, there are some ways to watch Zuckerberg’s testimony today on Facebook, though Facebook itself isn’t offering an official feed from Capitol Hill. Gizmodo (that’s us) has a livestream on Facebook. C-SPAN 3 has a livestream on Facebook. PBS Newshour also has a livestream on Facebook. Reuters TV has a number of free options for watching the Facebook testimony on devices like Apple TV and Roku. And you can also watch Reuters TV on Roku and Fire TV. CNN has options for watching the US Senate testimony on various devices using CNN Go, but you’ll need to have a cable subscription to access them. Or you can watch using the CNN app for Apple TV and Roku. Do you have a VR headset that your boss wouldn’t mind you whipping out in the middle of the work day? Well, you’re in luck. Because AltspaceVR is hosting a livestream that you can watch with your Samsung Gear VR, HTC Vive, or Oculus Rift. The hearing is scheduled for roughly two hours and senators try to keep a tight schedule just in case members have other things to do during the day. The whole thing should be wrapped up by 4:15pm Eastern time. The joint hearing this afternoon is in front of the US Senate Judiciary and Commerce committees, but it’s not going to be the Facebook CEO’s last. Zuckerberg is scheduled to testify tomorrow in front of theUS House Energy and Commerce committee starting at 10am Eastern. If photos from Zuck’s pre-meetings with legislators yesterday are any indication, he’s not too happy about any of this. But he’s getting plenty of coaching, including advise from one of George W. Bush’s former advisors. The strategy? Being humble and charming. We’ll see if Zuck can pull it off.